The camera module factory aims to serve the growing demands of localising and manufacturing of electronic components. The factory will be setup in Noida with the total investment of $30 million (approx Rs 200 crores) for this project which will be utilized in three phases. 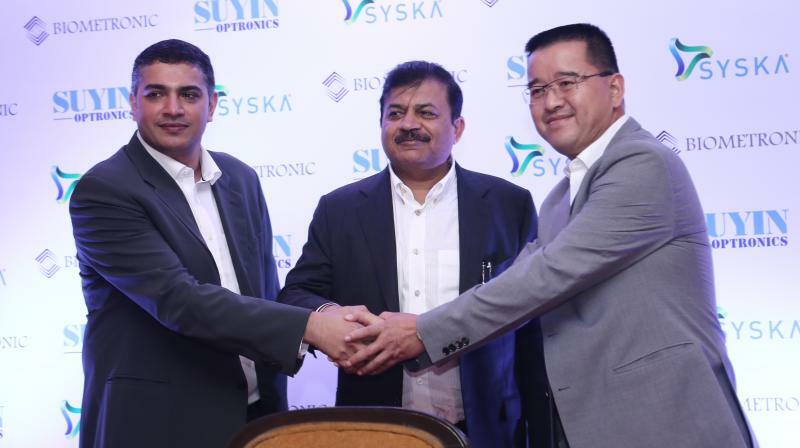 Syska, in partnership with Biometronic (Singapore) and Suyin Optronics (Taiwan), will set up India’s first camera module factory. The factory will be setup in Noida with the total investment of $30 million (approx Rs 200 crores) for this project which will be utilized in three phases. The camera module factory has been set up with the aim to serve the growing demands of localizing and manufacturing of electronic components. With the aim to support Indian government’s initiative of Make in India, this is reportedly for the first time that a camera module factory is being set up in India by a global player. Interestingly, the government has recently given a nod to legalize drones in India and this gives Suyin Optronics an added advantage to manufacture drone cameras in India. Syska Group has 49 per cent stake in the company whereas Biometronic has 41per cent stake and Suyin Optronics has 10 per cent stake in the new entity.